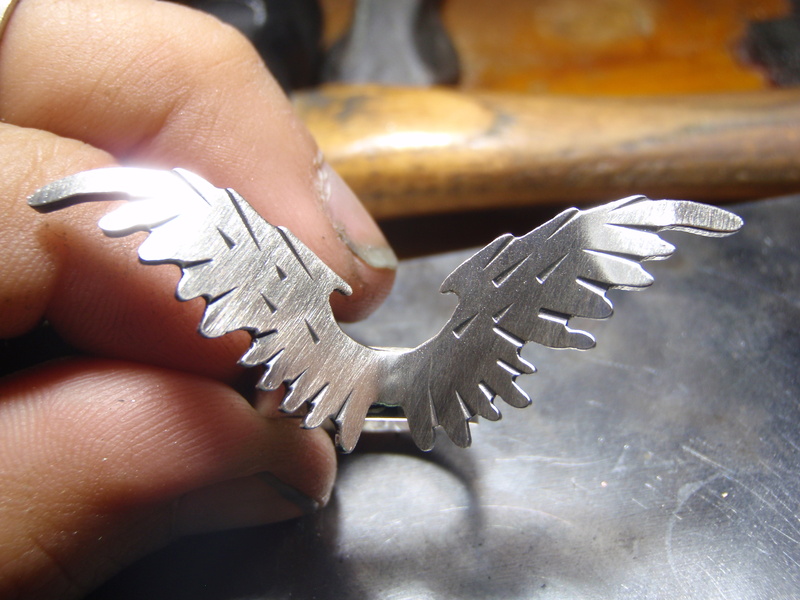 Another cool project I did a while ago . 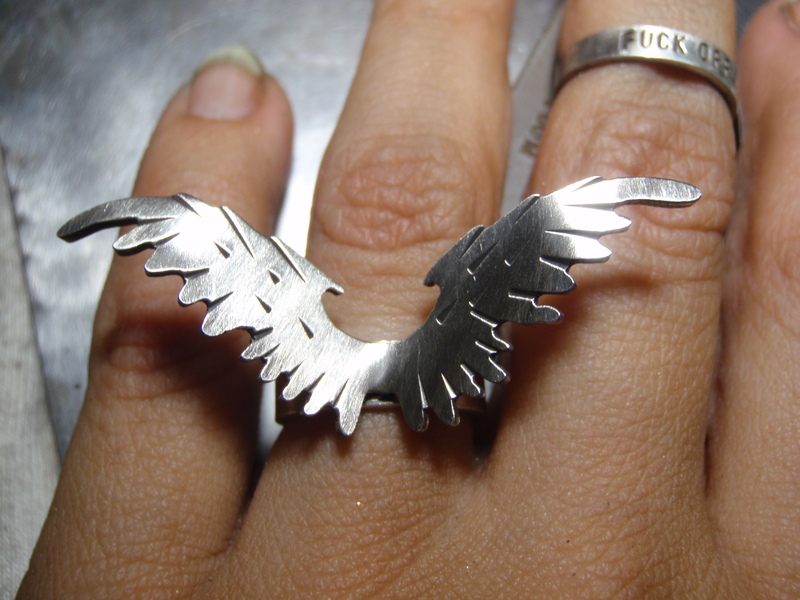 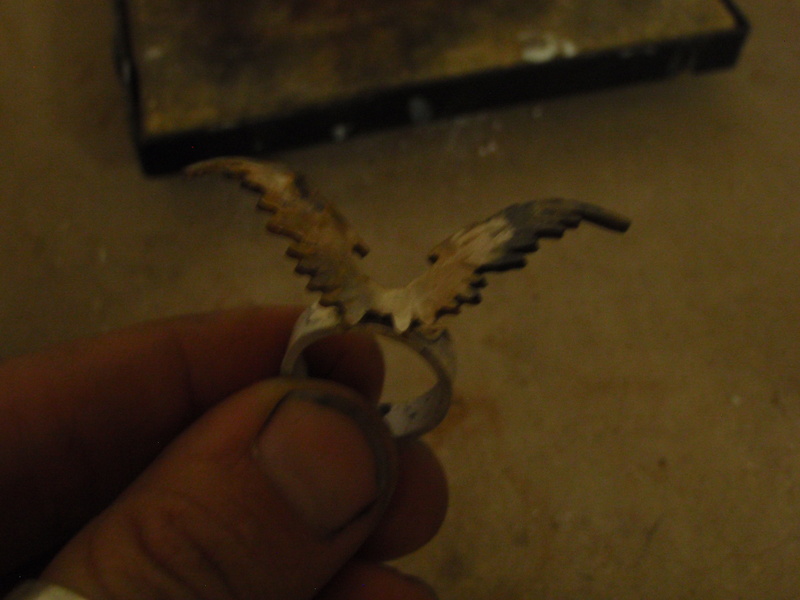 Its a ring with wings . 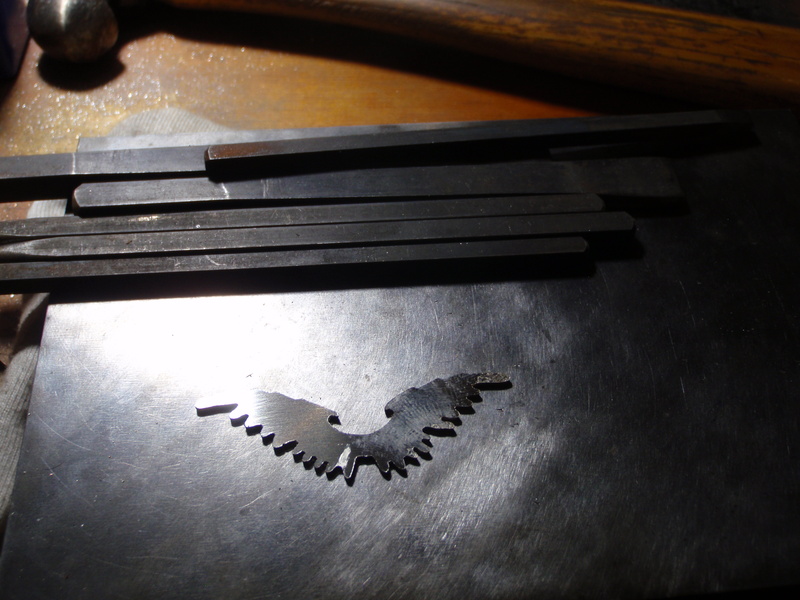 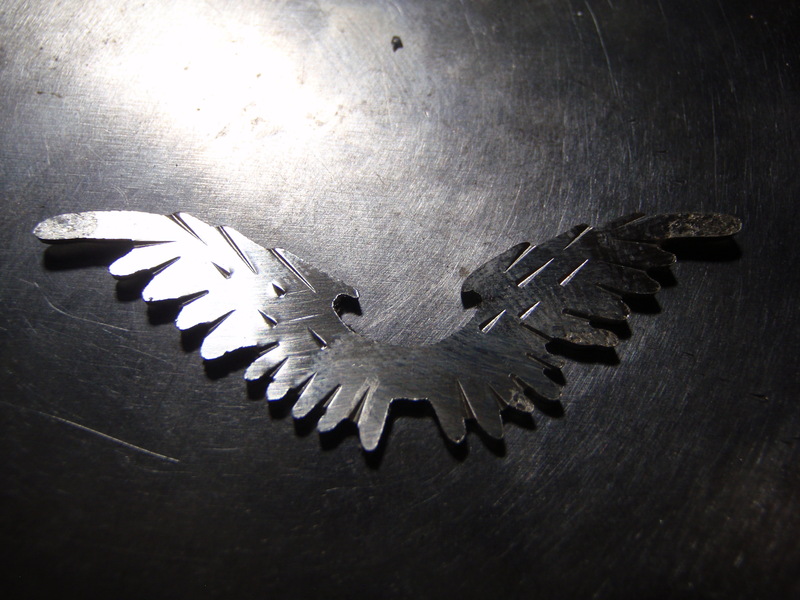 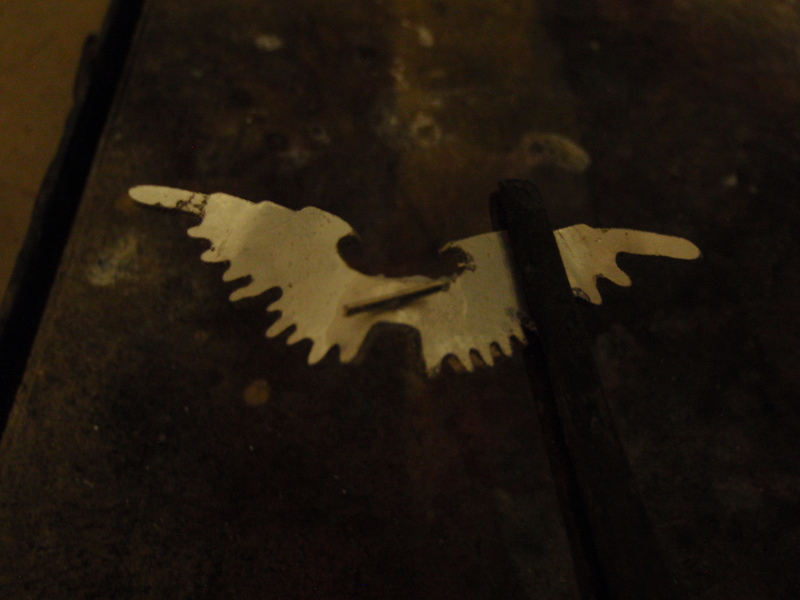 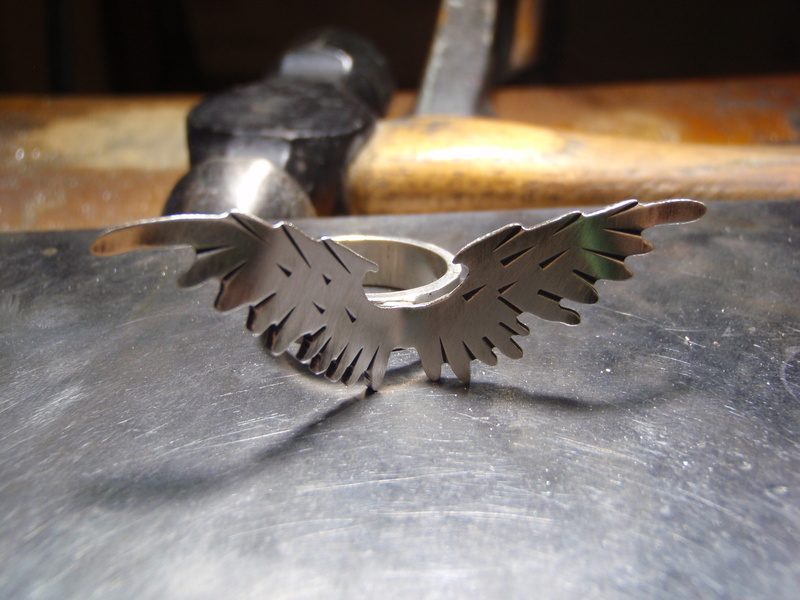 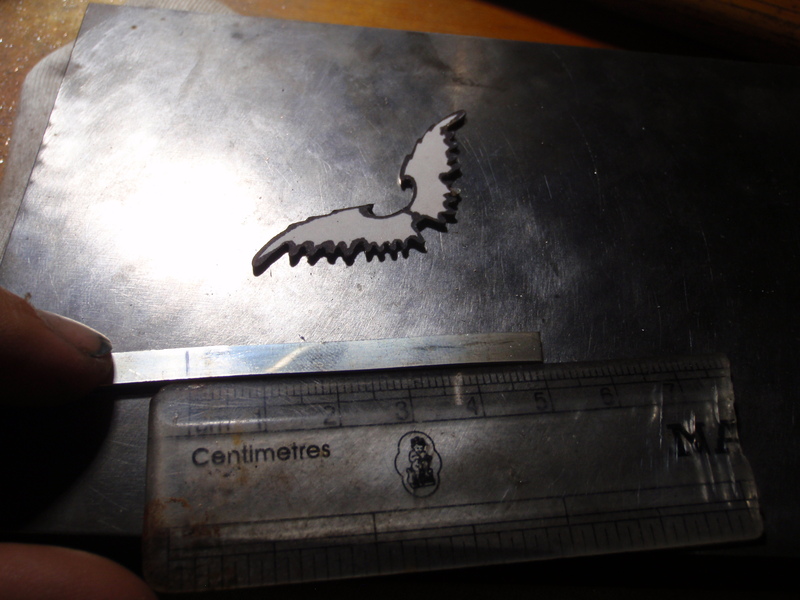 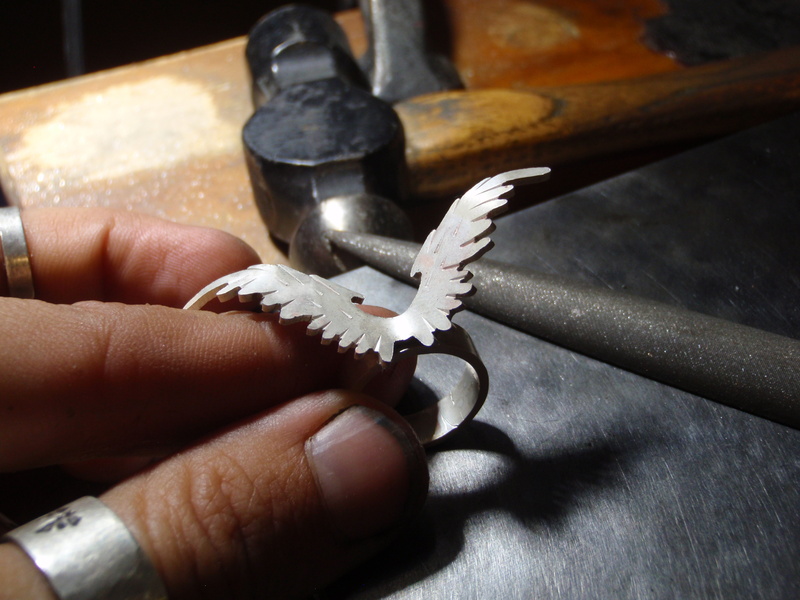 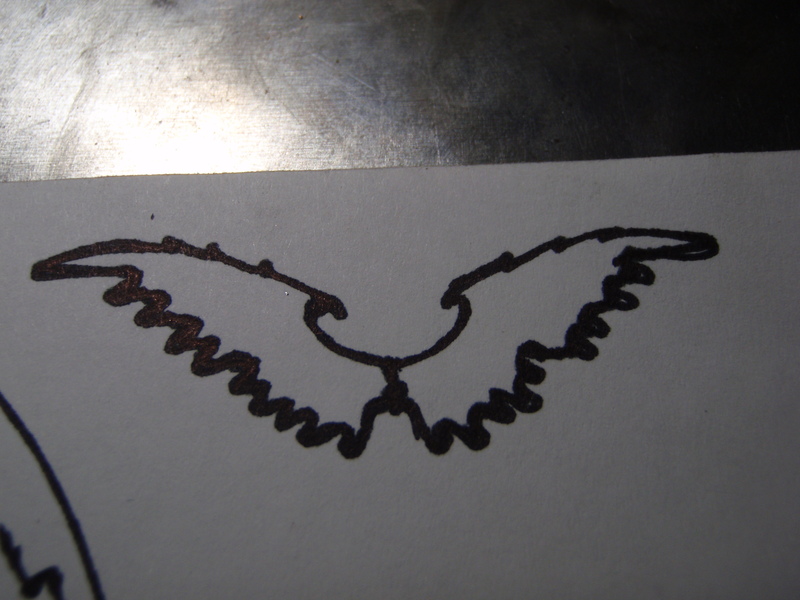 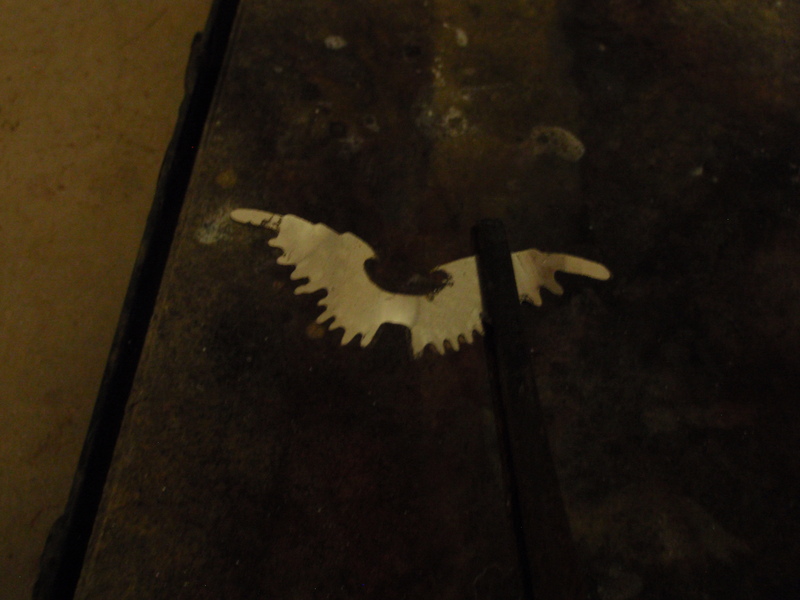 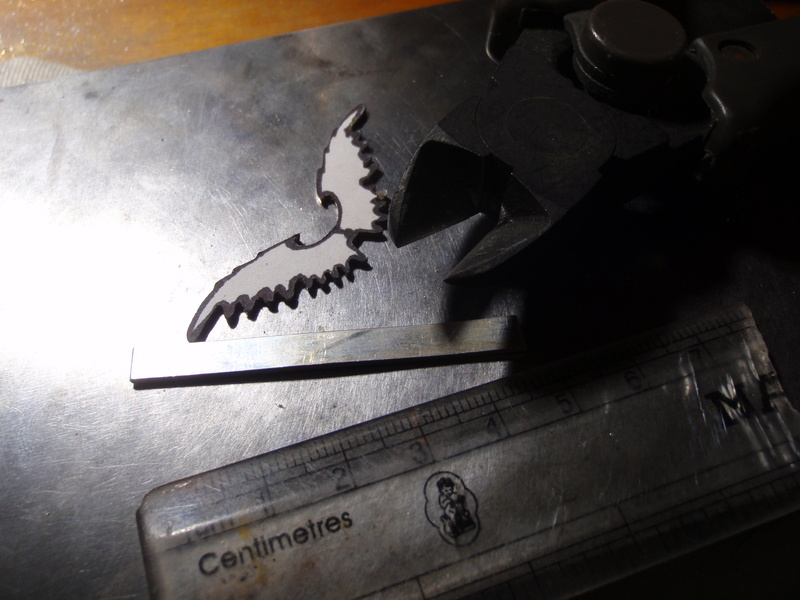 draw your wings out onto a sheet of paper and glue that to a metal sheet – I used like usual a 18 gauge sterling silver sheet-I prefer 18 gauge as it is thicker then 20 gauge and will hold its shape without bending. 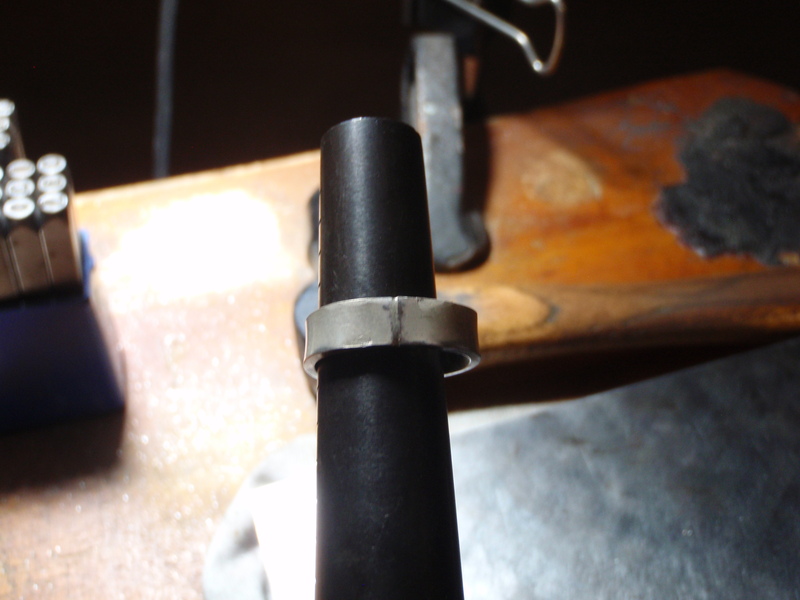 I have found that anything thinner than 18 gauge will bend very easy . 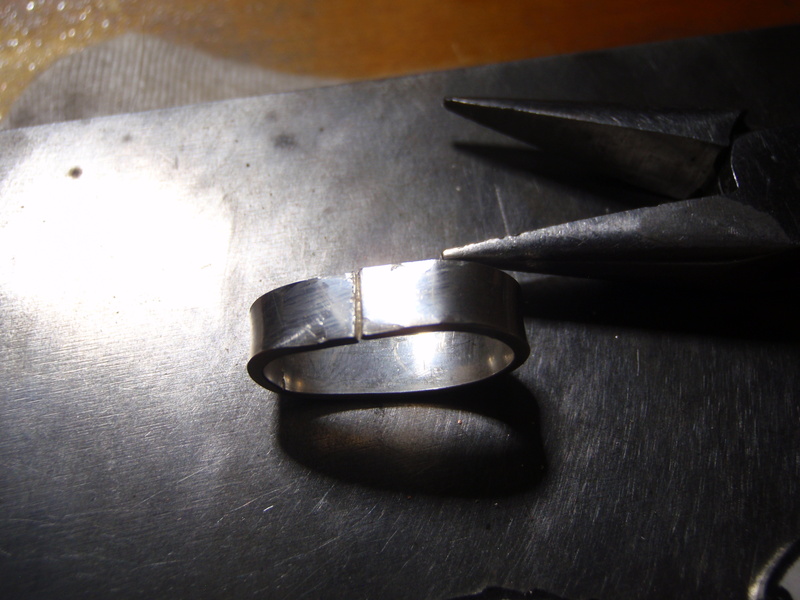 cut a piece of wire for the ring shank ( or you can buy a ring shank from riogrande.com . 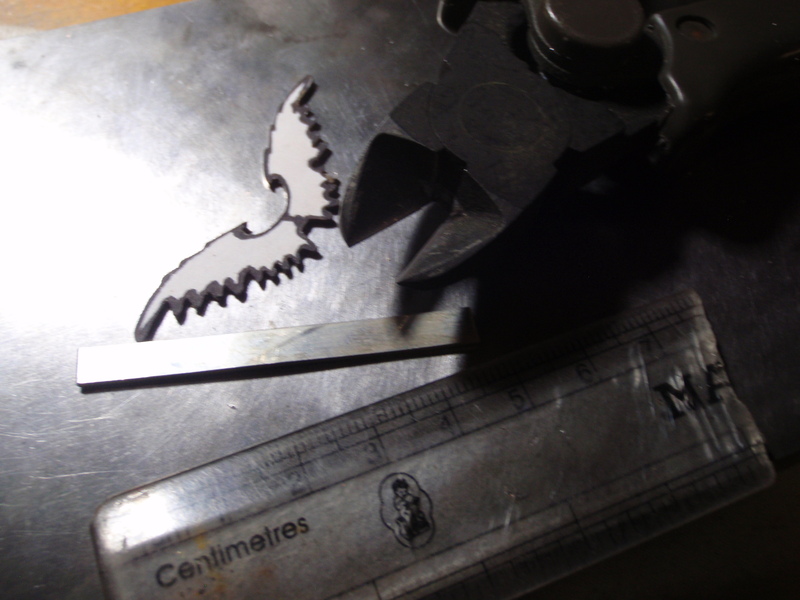 I make my own. 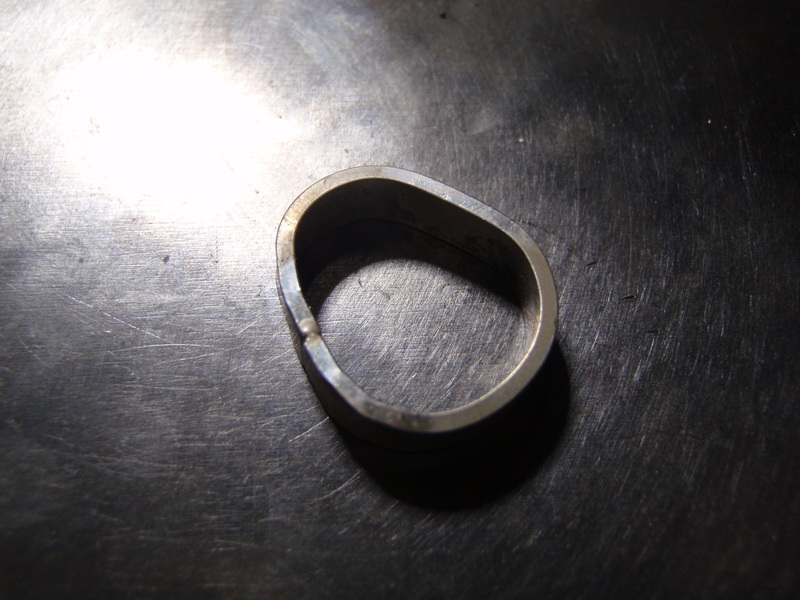 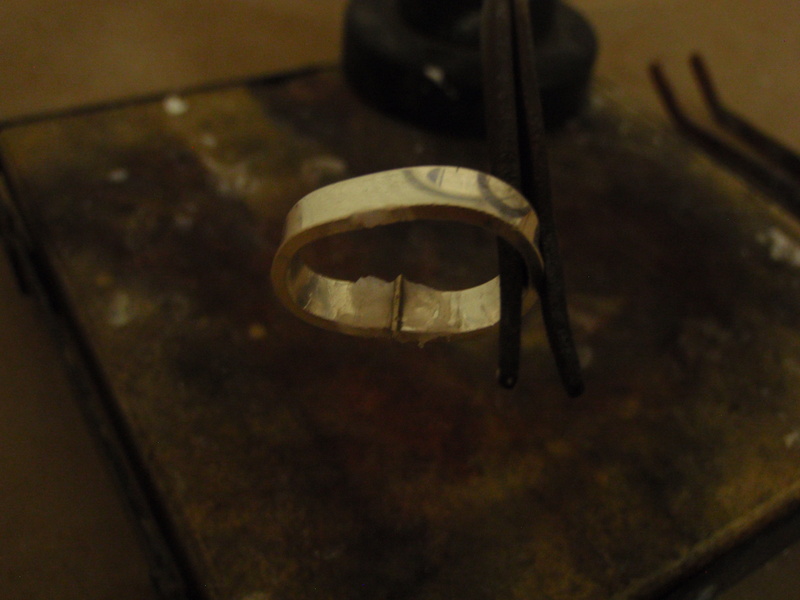 form the ring shank with flat nose pliers until the ends meet flush and solder them together. 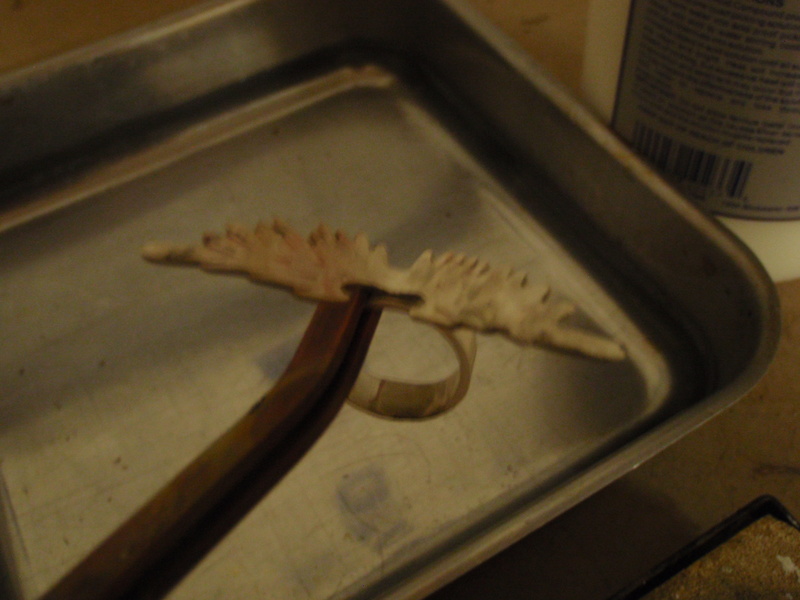 While your shank is in the bath you can texture the wings so that they look organic. 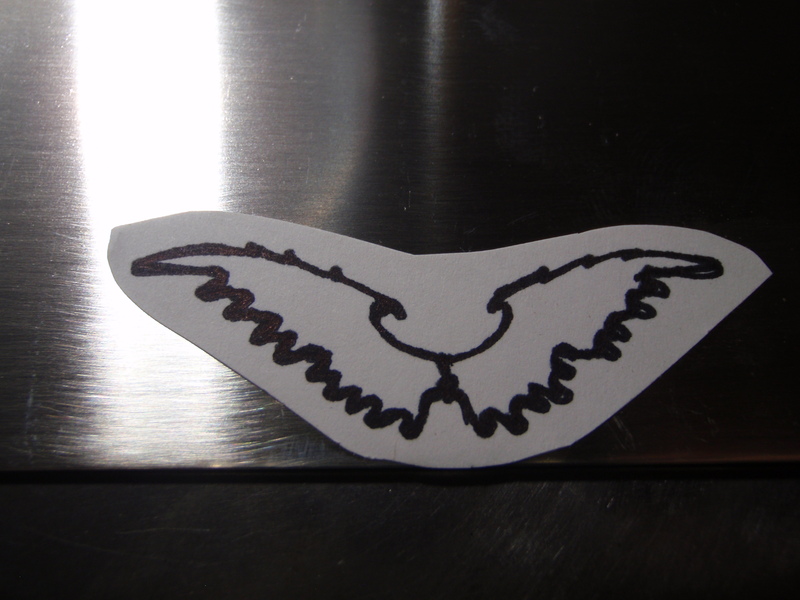 Bend them with your fingers in the middle and on the ends so they look like taking off. 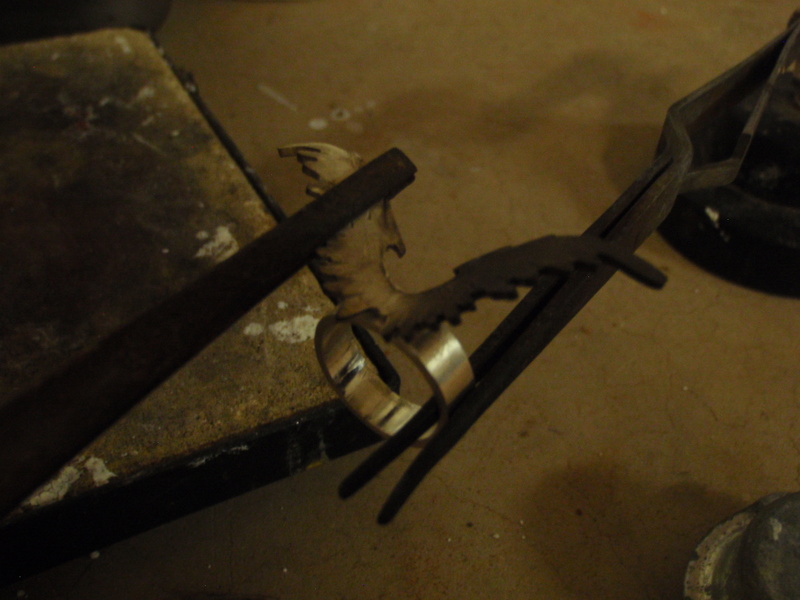 Take the ring shank out of the pickle solution ( never with your fingers , always use copper tongues ) . 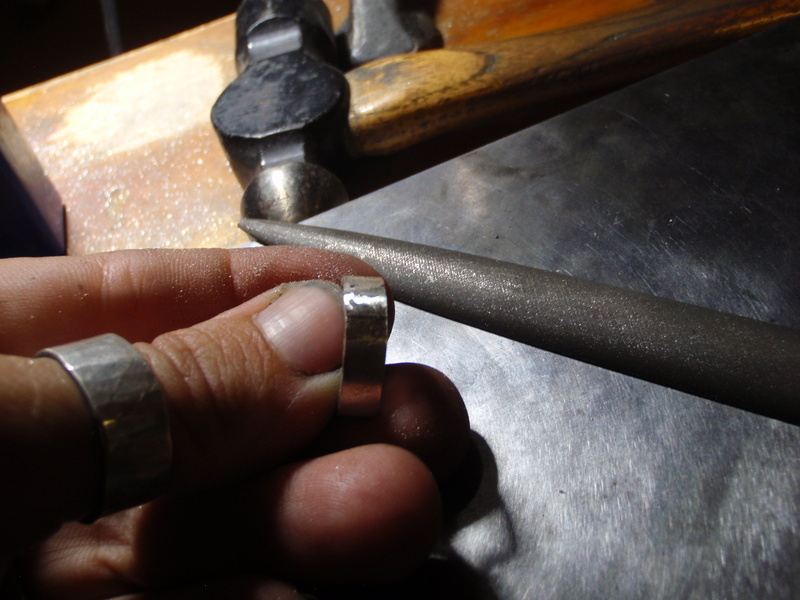 Form on a rig mandrel until you have a perfect round shape. 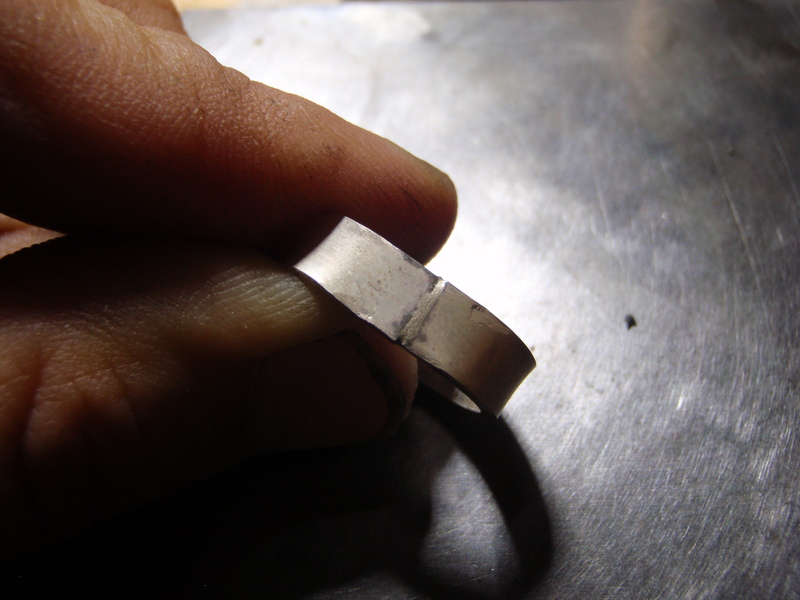 file and sand the area where the solder is until you cannot see the soldering line anymore . 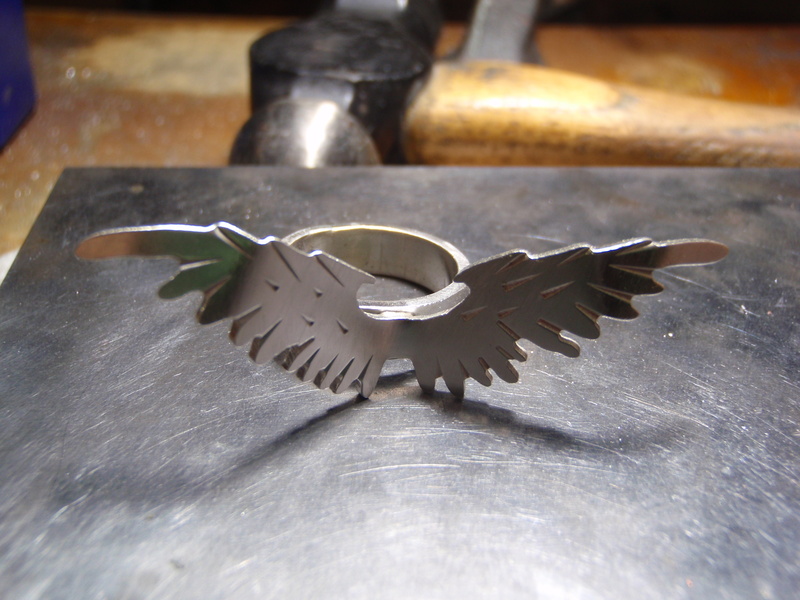 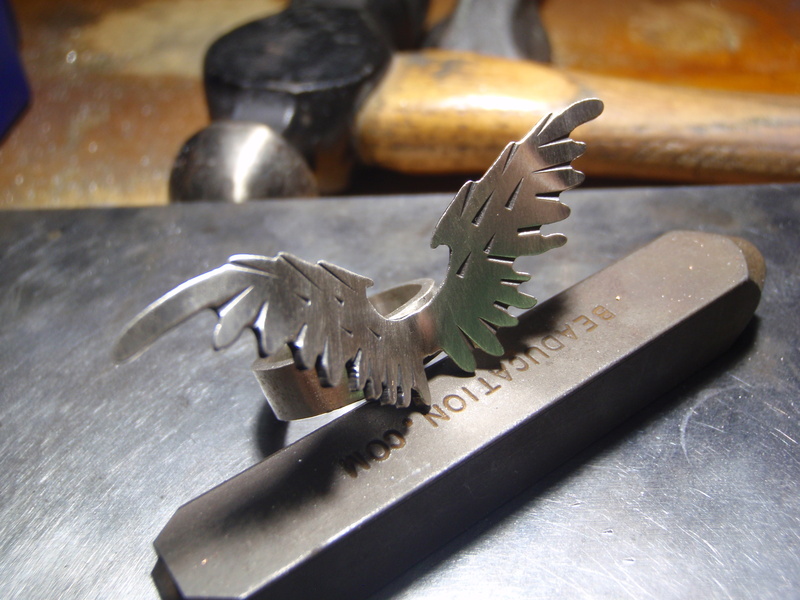 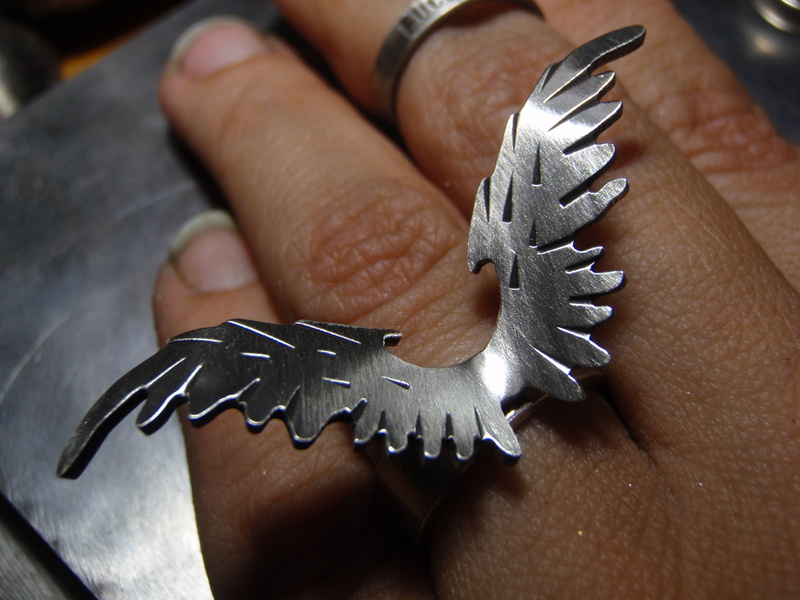 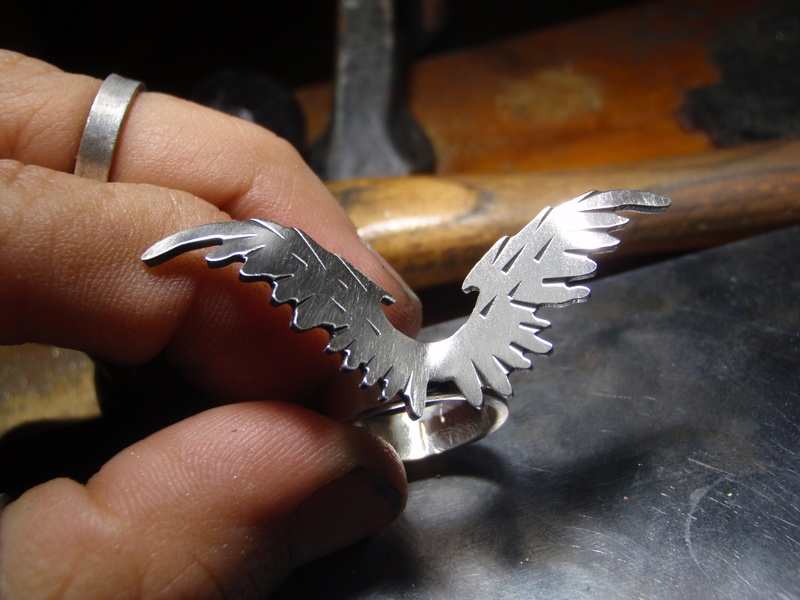 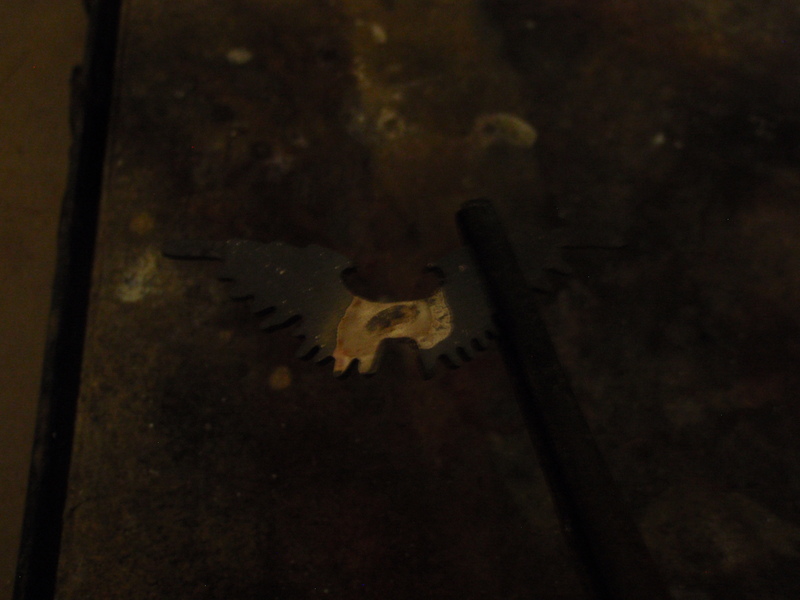 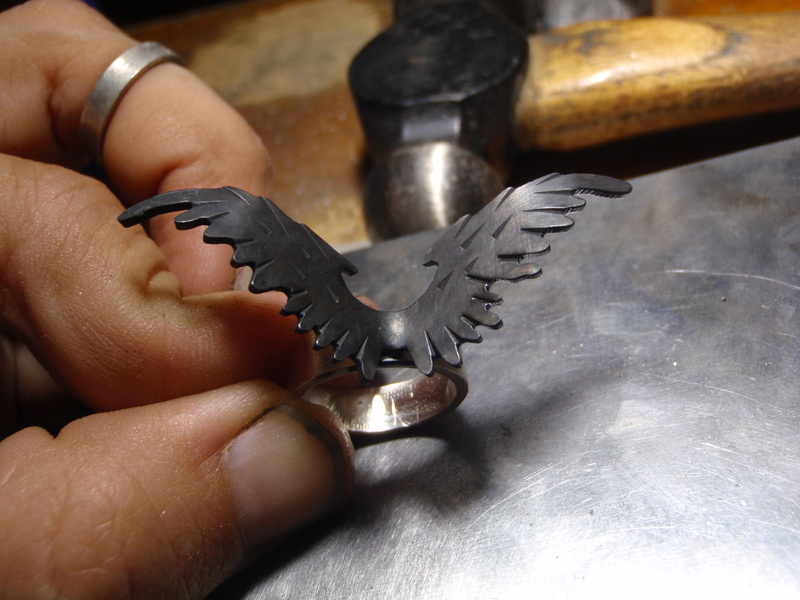 Now you can solder ring and wings together. 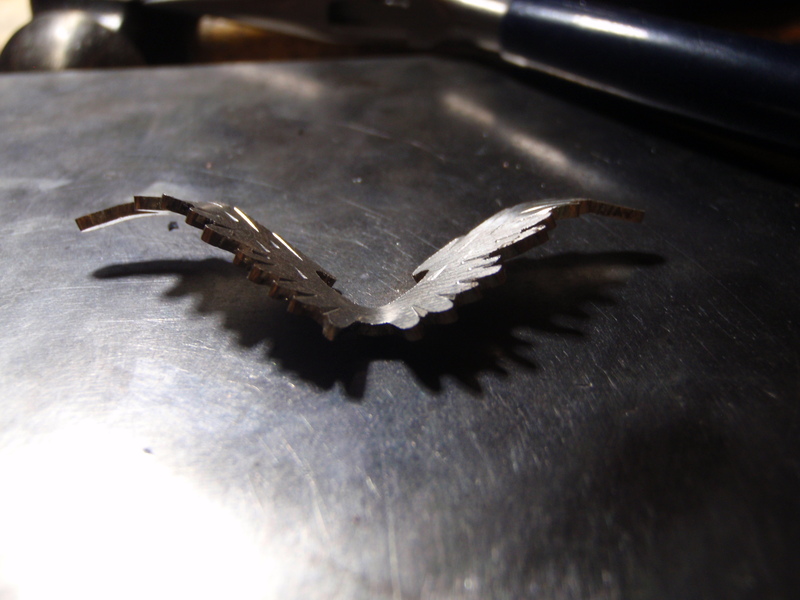 Flux the back of your wings and ad some solder ( i use wire solder ) . 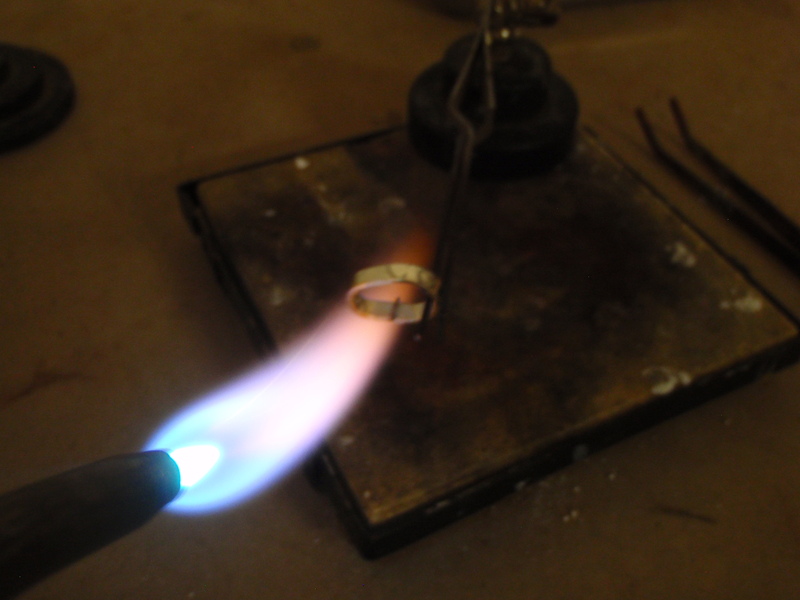 Heat with a torch until the solder flows. 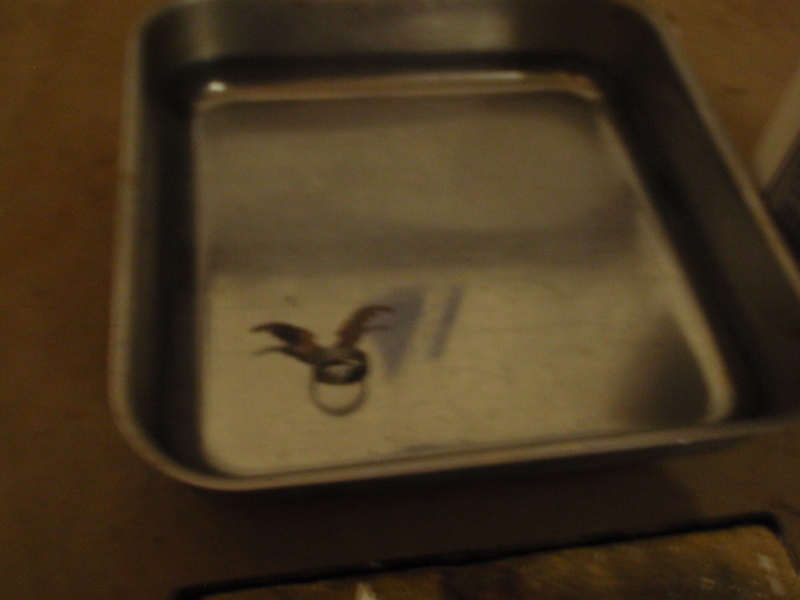 Quench in water. 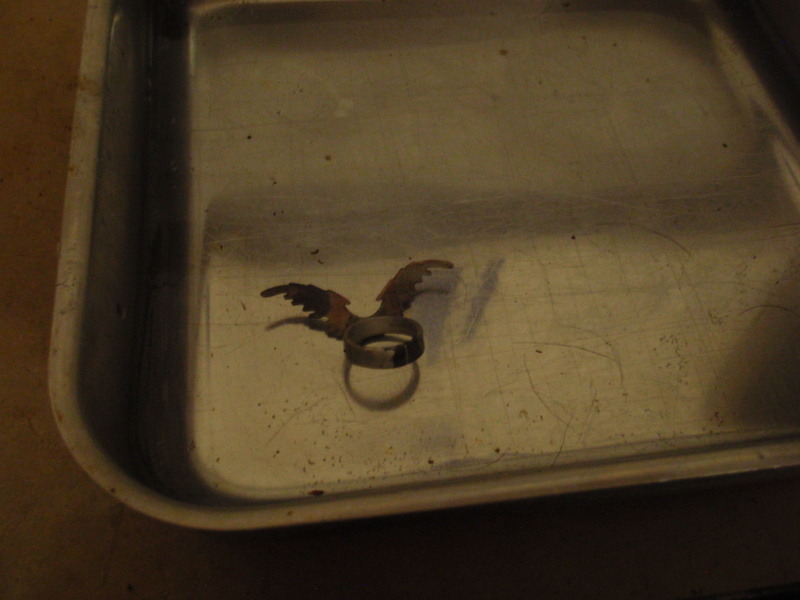 Flux bot the ring and the wings and put them together so that they touch. 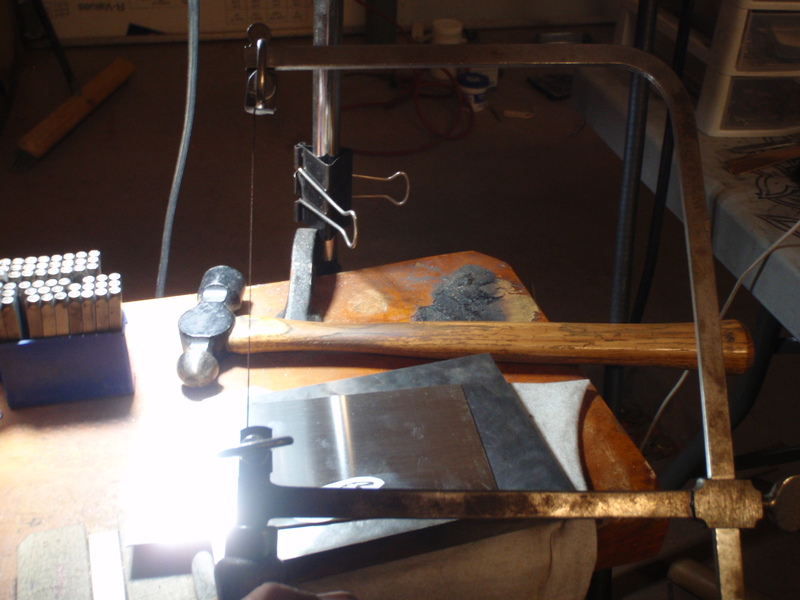 The easiest way for me to do it is with the help of 2 third hands. 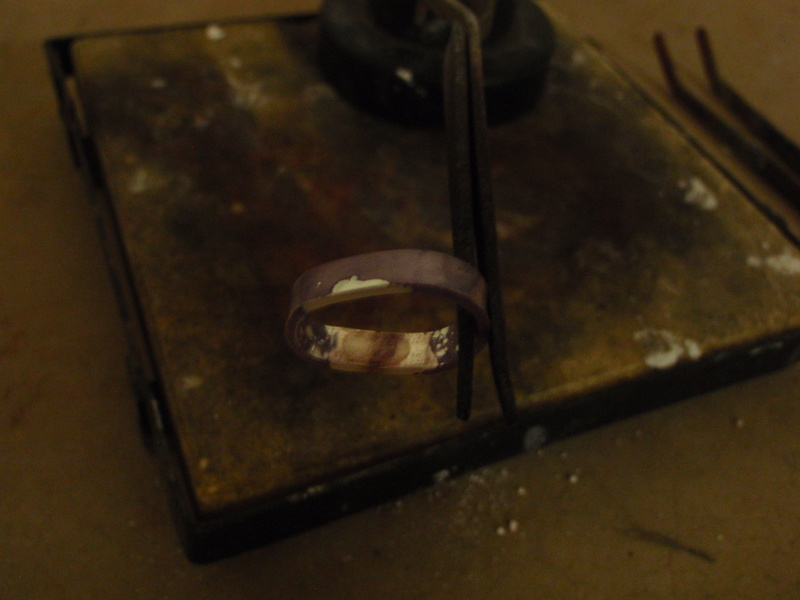 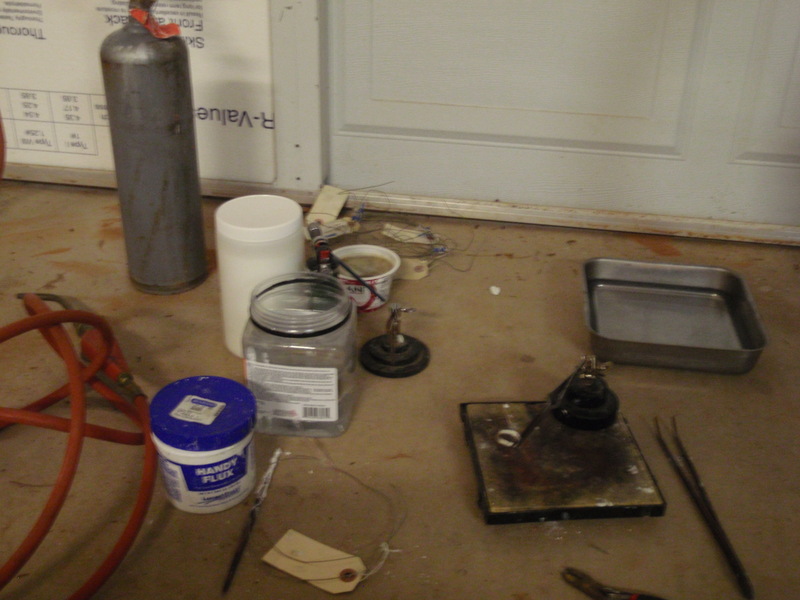 Heat again until the metal gets red hot and you see the solder flow again. 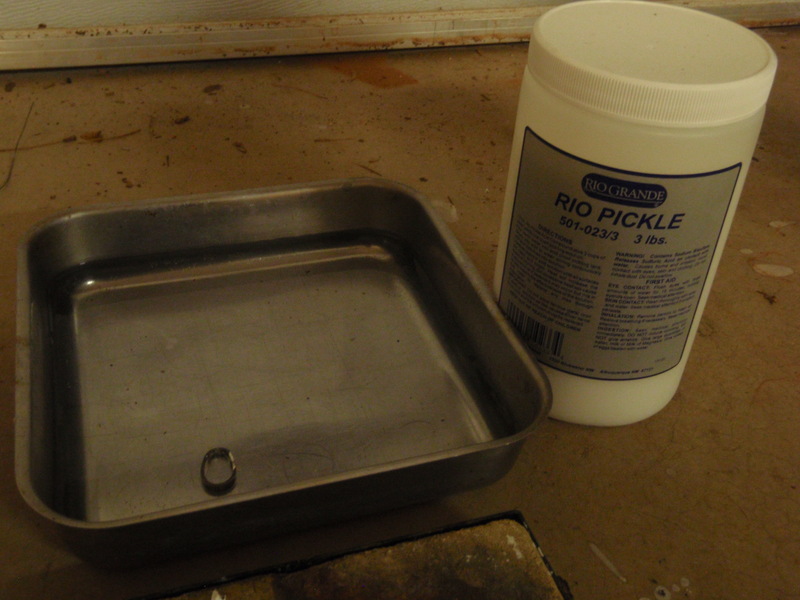 Quench in water and then Pickle again in the solution until your ring turns white. 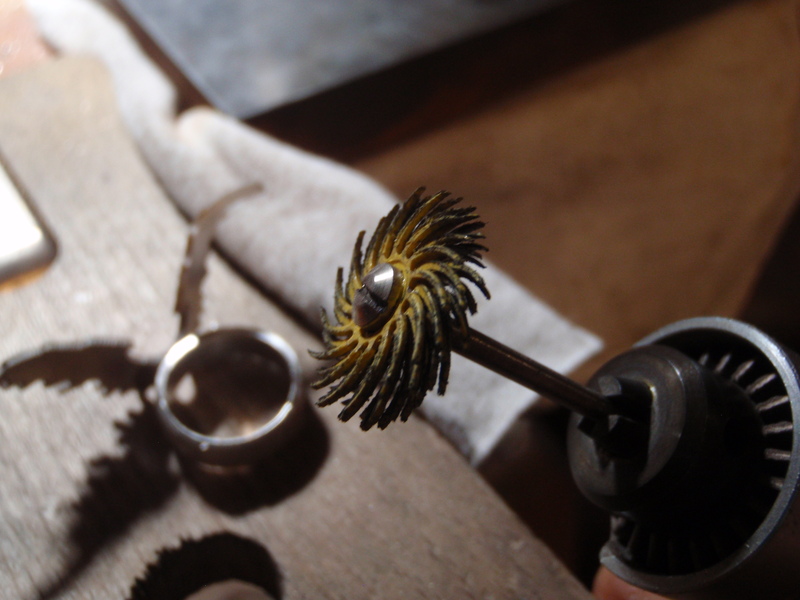 start polishing with a dremel and a flex shaft. 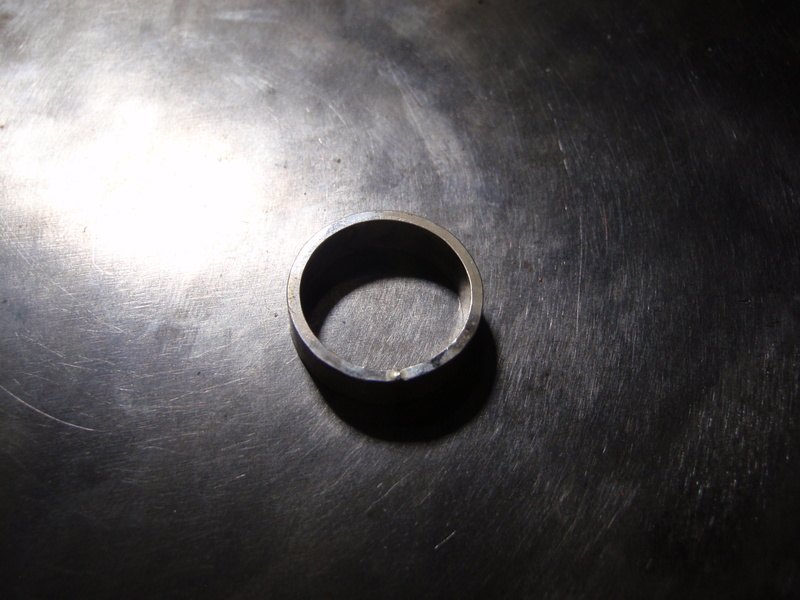 add patina and polish again.